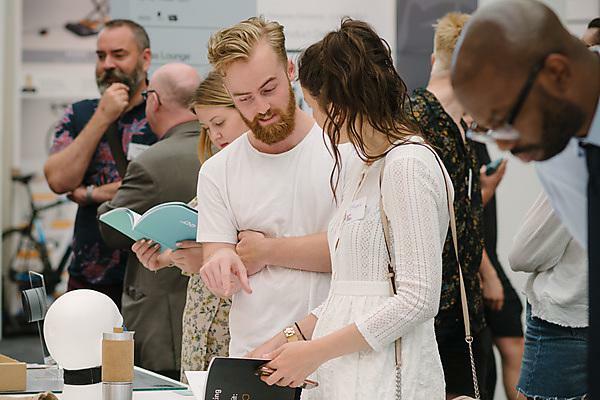 The largest ever gathering of London-based alumni came together last week for a special event at the New Designers Exhibition. 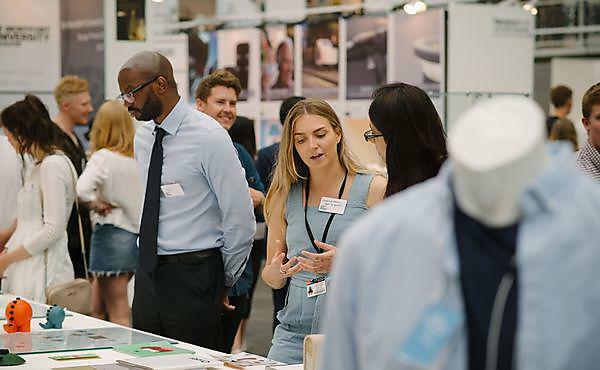 More than 40 graduates were at the Business Design Centre for a networking session and a chance to meet both University staff and students who were attending the exhibition. The occasion was organised by the Plymouth University London Alumni Committee, which is working to create a supportive and social network of Plymouth graduates who are living and working in the capital. said Aneta Nastaj, Committee member, and a psychology graduate from last year, reflecting on what she saw at the exhibition. The guests all visited Plymouth’s stand at the New Designers Exhibition, where the work of 31 students was in display among 3,000 nationwide. The work across categories such as ‘desirable mechanical design’, ‘design for social benefit’ and ‘making aesthetics’ included a full-size self-assembled motorbike, a team-building collaborative board game that is opposite to Monopoly, and a range of furniture based upon rectangular frames, and inspired by Japanese jointing. The alumni then had the chance to network with one another in a room booked out for the occasion. Working together to foster a network of Plymouth graduates in London, creating opportunities for engagement between alumni, the University and current students. The Plymouth University London Alumni Committee was formed in 2017.